Nandinas are tough, hardy and enduring evergreen or semi-evergreen shrubs with a bamboo-like, clump-forming growth habit. They are grown predominantly for their foliage and distinctive form, but some also produce attractive terminal panicles of white flowers followed by cluster of red or yellow berries. Numerous different clones or hybrids abound in varying shapes and sizes. Some are dwarf and compact, while others can grow as tall as 4 m. The fine compound leaves have a fern-like appearance and turn spectacular colours during the cold winter months. 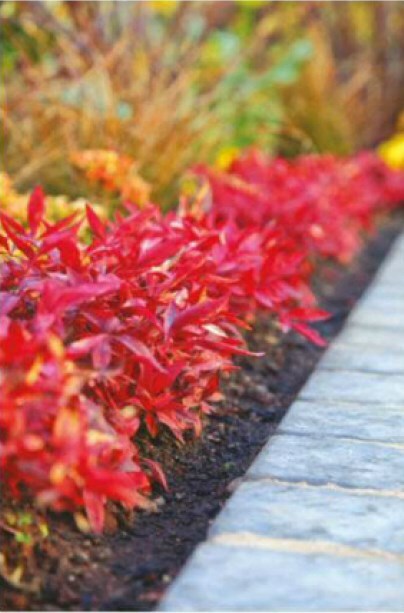 Nandinas grow in sun or shade and are most useful for planting in narrow or confined spaces and containers. The conventional species is sometimes propagated from seed and in so doing has many variations in terms of garden performance. The invariably produce attractive flowers in spring and bunches of red berries during autumn and winter. The leaves also turn attractive autumn and winter shades, especially in colder climates. 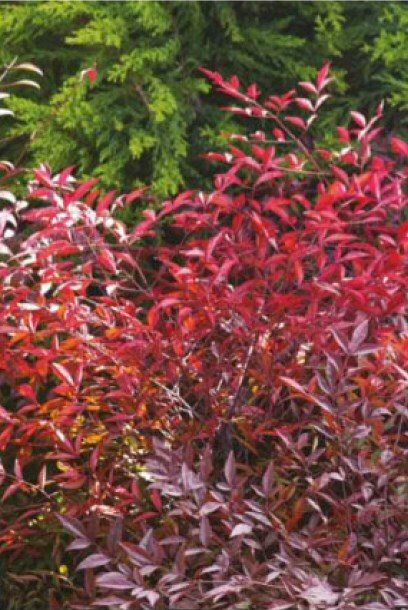 While the plants grow successfully in warmer climates, the winter colour is never as intense as in colder climates. The ordinary heavenly bamboo grows into thick clumps of intermediate height. 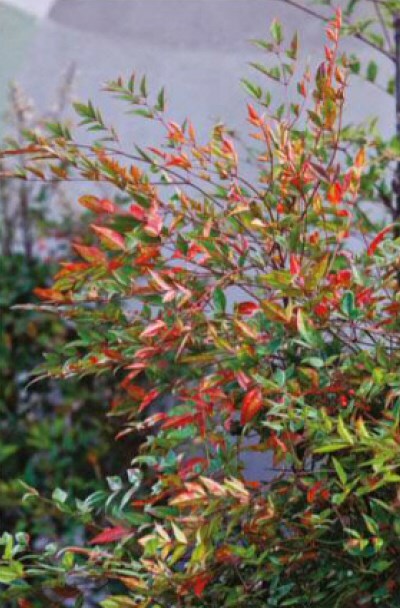 This nandina is one of the most popular dwarf shrubs ever and has been planted extensively during the last few decades it grows in sun or shade in almost all climatic conditions, preferring higher-rainfall regions. It is perfect as an individual specimen plant in a pot, or for growing en masseas a groundcover. Again, the winter foliage is spectacular in shades of green, yellow, orange and scarlet, while in spring the new foliage emerges a a special shade of lime green. Flowers and berries seem to be absent on this plant. The compact, bushy little shrubs seldom exceed half a meter in height.